Dry eye disease is a common condition affecting people of all ages. It occurs when there is insufficient volume and/or quality of tears to keep the front surface of the eye sufficiently lubricated. The most comon sypmtoms of dry eye are itchiness,reddness and irritation.It is a chronic and progressive disease meaning proper diagnosis and management is necessary to alleviate it. Our dry eye clinic is a specialist eye diagnostic and management service. 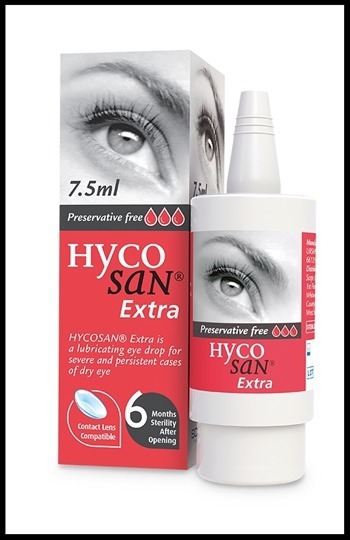 relieving dry eye symptoms and preventing long term complications. 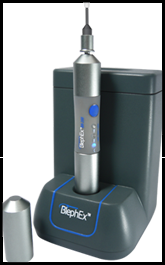 Blephex is a revolutionary fairly new patented hand piece, used to very precisely and carefully, spin clock-wise and then anti clock-wise, a medical grade micro-sponge along the edge of the eyelids and lashes, removing scurf and debris and exfoliating the eyelids.